It began with a full page ad from Oracle in the Wall Street Journal last week, throwing down the gauntlet for server hardware giant IBM, and the first definitive statement from the company in the midst of its $7.4 billion acquisition of Sun Microsystems about the fate of Sun’s hardware product lines. Oracle launched a database machine with Hewlett-Packard hardware a year ago. There is no indication about the fate of that partnership in light of this announcement. 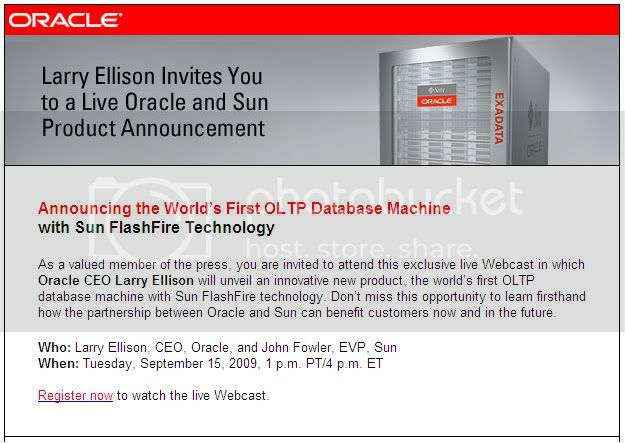 Also, while the Sun/Oracle Database Machine will contain storage, as the HP/Oracle version does, the fate of Sun’s data storage-specific product lines — including disk arrays as well as tape libraries acquired with StorageTek — has yet to be settled one way or another. The merger between Sun and Oracle itself remains hung up in European Union regulatory review. One thing’s for sure–Sun storage hardware competitors aren’t waiting for an answer before they pounce.